My head bobs lazily in the sun. You think I'm cute, For my face is yellow, My hair is white, and my body is green. What am I? 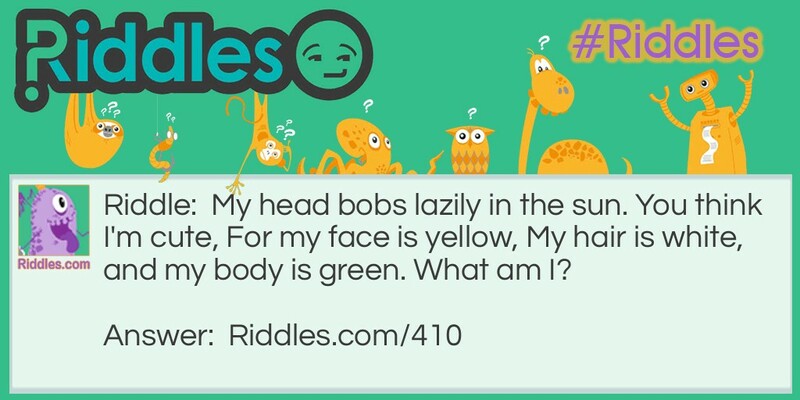 Cute in the Sun Riddle Meme with riddle and answer page link.